South Jakarta Transportation Sub-dept. is going to apply one-way trial on Jalan Melawai Raya, Kebayoran Baru.
" Considering the road will be passed by the country guests in the Asian Games event. Which is why we need to do one-way trial to parse congestion"
According to Christianto, Head of South Jakarta Transportation Sub-dept., it is done, as the road is experiencing severe congestion. In addition, it is also conducted to anticipate unwanted things during 2018 Asian Games. "Considering the road will be passed by the country guests in the Asian Games event. Which is why we need to do one-way trial to parse congestion," he expressed, Thursday (10/11). There are some roads that will apply one-way trial, ranging from Gandaria towards Jalan Iskandarsyah, intersection of Ayodya Park towards intersection of Jalan Iskandarsyah. Therefore, every vehicle coming from Jalan Iskandarsyah Raya towards Gandaria can pass through Jalan Wijaya II-Jalan Wijaya 13-Jalan Barito II or through Jalan Trunojoyo-Jalan Kyai Maja-Jalan Barito I. While for metro mini bus 69, 70, 71, 74, 611 and Kopaja 608, 609, as well as 613, which originally can pass both directions on Jalan Melawai, rerouted to Jalan Trunojoyo and Jalan Kyai Maja. For Metro Mini 72 and 610 that pass Jalan Melawai, will be directed to Jalan Sultan Hasanudin-Jalan Panglima Polim Raya. 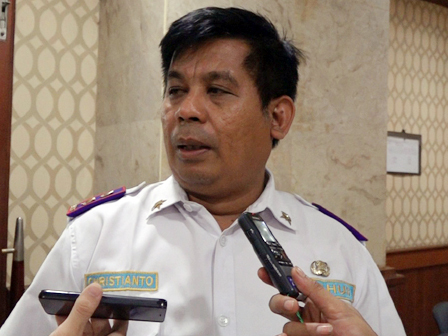 "Jalan Iskandarsyah Raya, Jalan Wijaya, Jalan Barito I, Jalan Barito II, Jalan Panglima Polim Raya will remain apply two-way system," he told. He added, to smoothen one-way system, it is currently conducting socialization to the local residents as well as to the crew public transport that makes Jalan Raya Melawai as the main route. "Currently we have spread the pamphlet route changes on some public transports," he closed.